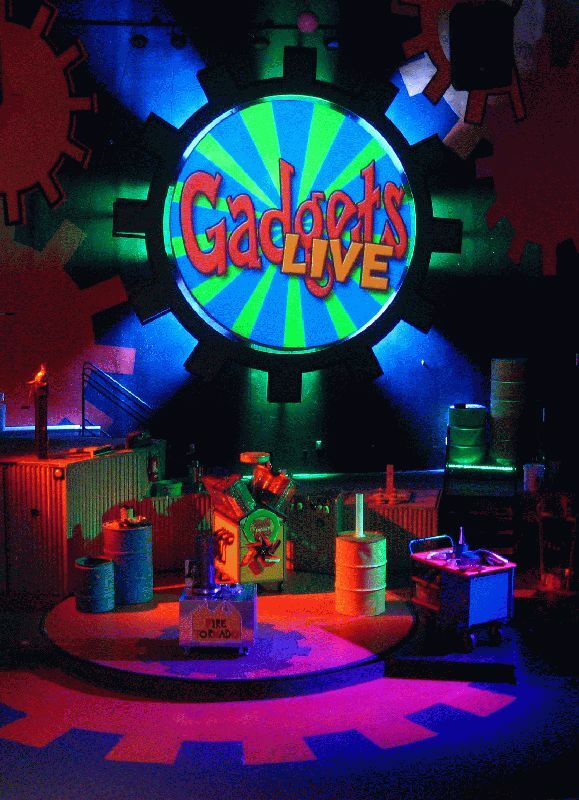 CHAUVET®, a leading manufacturer of professional lighting, announces that Gadgets Live, a performance stage at the Center of Science and Industry, recently became more entertaining thanks to the installation of various CHAUVET® gear. The large stage houses eight different themed shows throughout the year, that are educational and engaging. Doug Northeim, owner of Red Fish Illuminations, specified the fixtures and created the lighting design. He used a SlimPAR™ 38 and 11 SlimPAR™ PRO RGBA wash lights, 11 COLORrail™ effect lights, three DMX-4 Dimmer/Relay packs, and one Data Stream™ 4 splitter. It took just a few CHAUVET® fixtures to transform the space. SlimPAR™ PRO RGBA units acted as the side and backlighting for an even stage wash. The units’ range of colors helped differentiate the themed shows. Hidden behind the large center stage were COLORrail™ fixtures that brought the background to life. The fixtures provided a color-changing backdrop that gave an animated look to the gear-shaped props used throughout the set. Northeim said the Gadgets Live installation led to a new test project at the museum using variable white LEDs. The museum also decided to use more CHAUVET® gear for their rental facility used for different events, such as weddings and parties.